What Makes the Perfect Ski Holiday Destination? 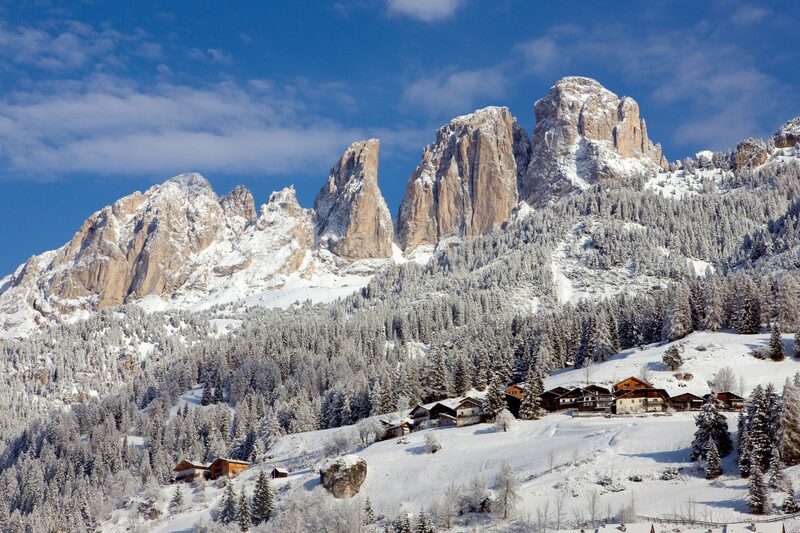 If you want more from your ski holiday than just great slopes, the Italian Dolomites are hard to beat. There are the spectacular pink mountains, sometimes referred to as “rocky cathedrals”, towering above you, then there is the rich culture that still exists in the ancient towns and villages of the valleys. This, in ski holiday terms, translates into authentic food and drink to enjoy and very reasonable prices too. The good thing is that, these days, visiting an unspoilt ski destination no longer means putting up with aged ski lifts. 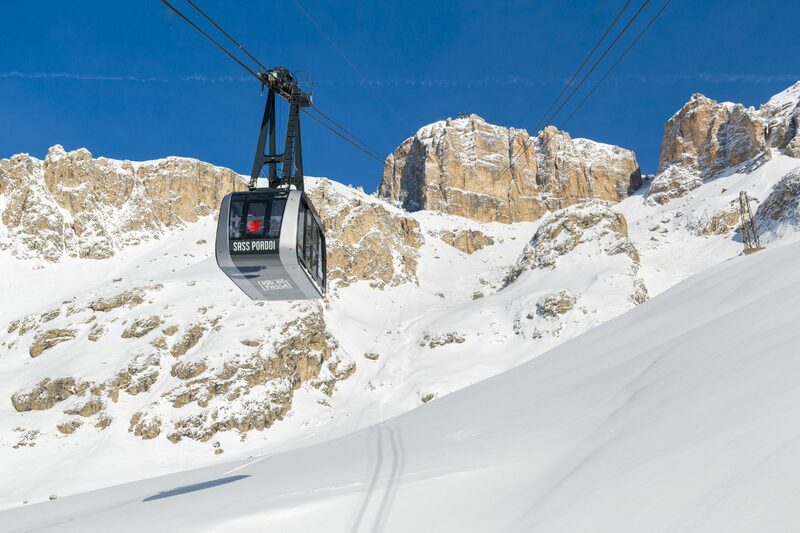 On the contrary, resorts in the huge Dolomiti Superski region, with its incredible 1200km of runs on the one lift ticket, have been adding state-of-the-art lifts season after season. One of these, Val di Fassa, will unveil its brand new “D-Line” gondola in its Ciampac sector for the coming ski season. D-Line technology from the famous Doppelmayr/Garaventa lift company provides an even faster and more comfortable ride up from Alba to the Ciampac ski area. The innovative panoramic lift will carry gondola cabins for up to 10 people and will have an increased hourly capacity of 2,000 people. It will greatly improve connections to the famed Sellaronda ski circuit – a great day trip with some 40km of runs and lifts to enjoy in a clockwise or anti-clockwise direction. The Ciampac ski area has also recently seen the change of the Sella Brunech and Roseal chairlifts upgraded to a detachable quad. 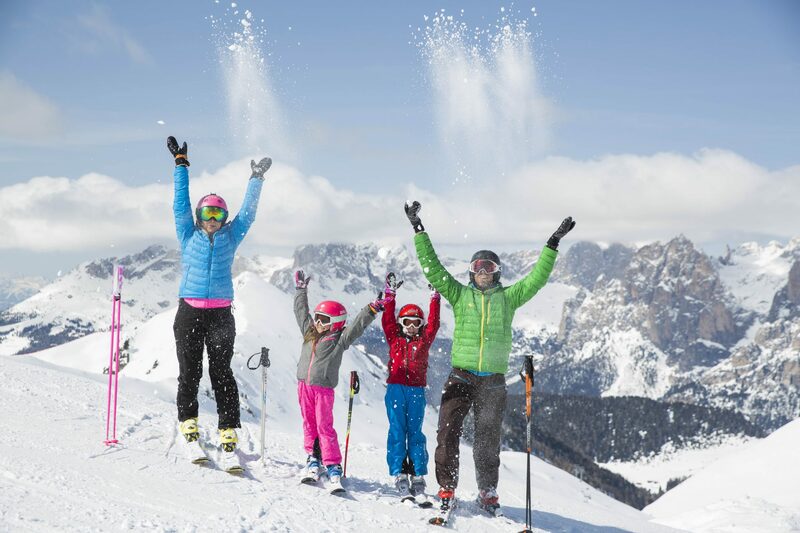 Val di Fassa is one of Italy’s leading ski destinations in its own right, with 210km of ski slopes served by 86 modern lifts (including a section of the Sellaronda), links to four other ski tours and several snow parks. The slopes, divided in to seven areas interconnected by ski lifts and runs or an inclusive ski bus, are almost entirely covered by state-of-the-art snowmaking systems. Altogether, Val di Fassa stretches over about 20km as the crow flies, surrounded by some of the Dolomites’ most-famous peaks: Catinaccio, Sassolungo, Sella group and Pordoi, over which Marmolada stands undisputed. But, as mentioned earlier, the region is about much more than skiing and spectacular scenery. The Ladin cuisine is strong here and comes to the fore for visitors in delicious traditional cuisine to satisfy even the most-demanding palates. It can be served up to you in a gourmet restaurant in the valley or in a simple mountain hut high on the slopes – the result is the same great taste. Alba is just an outlying part of one of seven different resorts where you can stay in Val di Fassa. Perhaps best known to the British market is Canazei, of which Alba is one of four outlying parts. Located at the heart of the Sellaronda ski tour and Dolomiti Superski, the ski areas of Belvedere, Ciampac, Col Rodella and the famed Marmolada glacier are all easily reachable from the town. The resort has a great choice of shops, restaurants and pubs, as well as sports halls, the Eghes Wellness Centre and other attractions, making it an ideal place to spend a great holiday in the Dolomites. Campitello, dominated by the impressive mass of the Sassolungo and by the Col Rodella, reached directly from the village with a quick cable car ride to reveal some of the most-spectacular views in the Dolomites, is another popular choice. The Col Redella / Belvedere ski area is connected to the Sellaronda, meaning you can be over in Val Gardena or Alta Badia in minutes. Down in the resort, there’s the modern Ischia well-equipped sports centre and plenty of excellent bars and restaurants. Pozza di Fassa and Pera are located in the widest and sunniest part of Val di Fassa and are home to the Buffaure-Ciampac ski area, known for its gorgeous scenery and high-quality runs. Pozza will be a key host for this winter’s FIS Alpine Ski Junior World Championship, and the Skistadium Aloch has been upgraded ahead of this major event in February 2019. Night skiing is also offered here on the Aloch ski slope, and cross-country skiing is possible, with access to both the Marcialonga circuit and the Ciancoal ring. Again, the village itself can satisfy all ski holiday needs and also boasts a lovely spa complex: the QC Terme Dolomiti. Pozza’s neighbour, Vigo di Fassa, sits on a wide terrace in a dominant position in the valley. From the village centre, a cable car takes you up to Ciampedìe, the heart of the local ski area and from where there are still more stunning vistas, this time from Catinaccio as far as the Marmolada glacier. For the coming winter, two chairlifts here from Pera to Pian Pecei have also been upgraded to detachable quad chairs, further improving the area, which is especially popular with families and boasts a first-class children’s area. Moena is the gateway to Val di Fassa, surrounded by the mountains of Catinaccio, Latemar and Monzoni. The main town of the valley has a reputation for its beautiful architecture, housing elegant boutiques, cafés and gourmet restaurants in a pedestrian area between its two squares. Up above, Moena is in the heart of the Alpe Lusia-San Pellegrino area, where this winter the black La Volata piste has been broadened, again for the ski competitions that will take place in February 2019. The valley’s other settlements include Mazzin, the smallest municipality and a great cross-country ski centre with ski bus connections to the Alpine areas, and Soraga, one of Val di Fassa’s oldest settlements, with many of its typical Ladin features intact. Again, cross-country skiing is popular here, and it’s a short distance to the Moena-Lusia and Vigo-Catinaccio downhill ski areas. Besides the timeless magnificence of its awe-inspiring scenery and the daily joy of great skiing and wonderful food, Val di Fassa offers numerous weekends of music and sports events through the ski season. Weekends in December will be all about sport, music and wellness, all made even more appealing thanks to the Val di Fassa Sound Premiere offer available through the website, which brings special savings and great events. 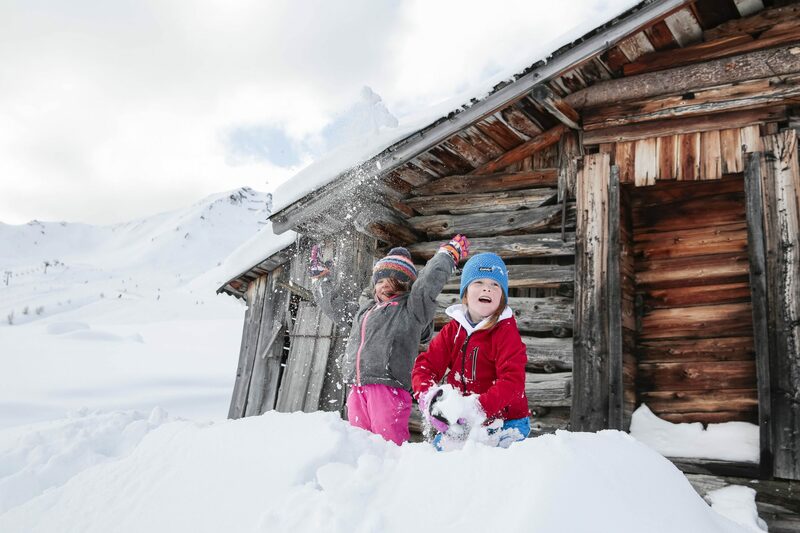 What’s more, while families, mums and dads are more than welcome in Val di Fassa all winter long, January is the perfect month for some quality family time with Fassa Family Weeks, 6–20 January. Then, in March and April, sports and entertainment will be the flavour of the month, with concerts at the mountain huts with Panorama Music Ski Weeks and their very appealing offers.